This thanksgiving we are toasting with local Georgia apples! We are always so thankful to those who have supported my blog, bought my cook book and have come to Ireland with Shamrock and Peach tours. A small business relies on word of mouth for it’s success and I always love to support local producers here in Georgia with all of my recipes. So, here is a lovely wee recipe for Appletini’s to welcome your guests before the Thanksgiving feast. So, wishing you all a healthy and happy Thanksgiving! Fill a shaker three quarters full of crushed ice. Add the vodka, apple liqueur and freshly pressed apple juice. Cover and shake for 10-15 seconds. Strain in to a chilled cocktail glass. Garnish with a slice of Green apple and serve. Slainte and Joy in the journey! Each year we make our annual trek up to the North Georgia Apple Barns. We fill up our car with local apples, apple cider, sourwood honey, apple butter and freshly dipped toffee apples. The other Southern ‘fall must’ is to eat a hand fried Apple Pie with ice cream and somehow it’s not quite fall without enjoying one. When we drive through North Georgia’s apple country it makes us think of our Co. Armagh homeland and the ties from our Scots Irish settlers many years ago. It seems ‘the apple doesn’t fall far from the tree’ after all. Hope you enjoy a few of our pictures and enjoy these last few days of fall! Enjoy Local apples while they last! 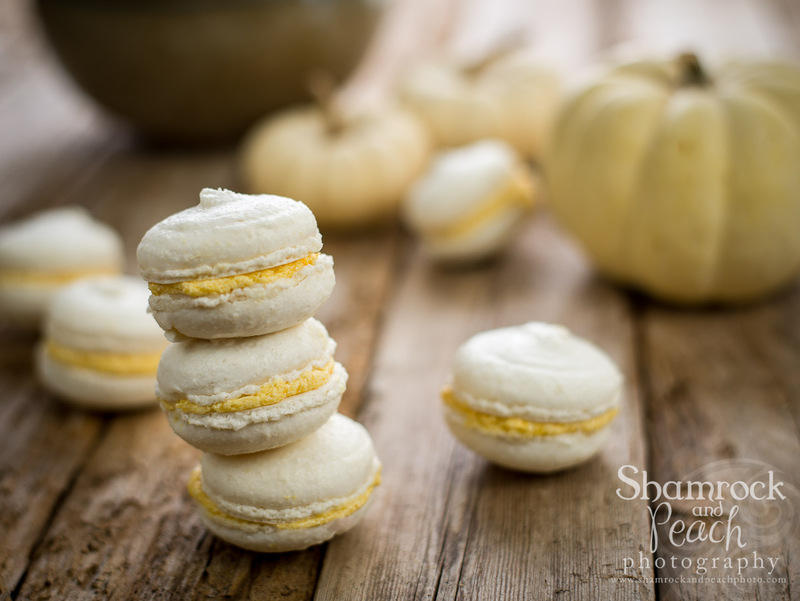 Thanks to my friend Chloe, who just graduated in Baking and Patisserie Arts from Le Cordon Bleu in Atlanta, we created this seasonal fall Macaroon with a delicious Pumpkin and White Chocolate buttercream. yum. Here is the recipe for our Fall Macaroons (and thank you to the talented Chloe and we wish you every possible success for your future career in the Patisserie Arts)!